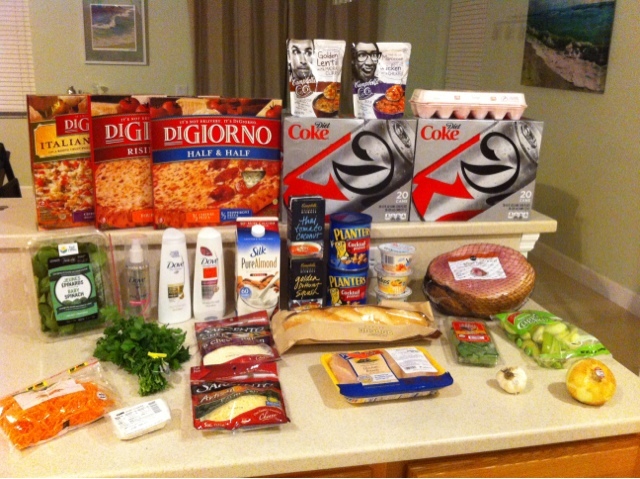 I am finally back to my normal Thursday Publix shopping! So sorry for being an absent blogger but the last week and a half has been crazy around here. I hope you and your family had a fabulous Christmas holiday. We had a relaxing and fun last few days with family and friends and it has been so nice to slow down and unplug from the online world for awhile. We were out of town for the Christmas holiday and then yesterday I spent the day taking advantage of the day after Christmas sales. So today I finally got around to planning and doing a shopping trip. Today's trip was really a trip to just get the things that I wanted for our menu plan for the next week. After more than a week of not cooking dinner, tonight I made Butternut Squash Tomato Basil Bisque and Barefoot Contessa's Garlic Bread. I also plan on making a big batch of Olive Garden's Chicken & Gnocchi Soup this weekend so I spent a large part of my budget on fresh herbs, veggies, goat cheese and other things for those meals. I was thrilled to find the 20 packs of Diet Coke with all the peelie coupons on them ($1 off Publix and $1/2 Man.) to pair with the Yellow Ad. Flyer coupon for $2 off Publix meat/deli WYB any 20 pack of Coke product. My store even had a sign advertising how they suggested you stack the coupons to get the best deal. I was able to use my money off Publix meat coupons towards a 10 pound Spiral Publix ham so we will enjoy making that next week. I also was able to grab 3 cheap Digiornos to fill in in a pinch when my back to school schedule gets hectic in January. I also grabbed chicken and a few other things that didn't have coupons so I was glad to have moneymaker coupons for the trial sized Crest White Strips and broke my trip up into two transactions so I could also use two $5/$30 Winn Dixie coupons. 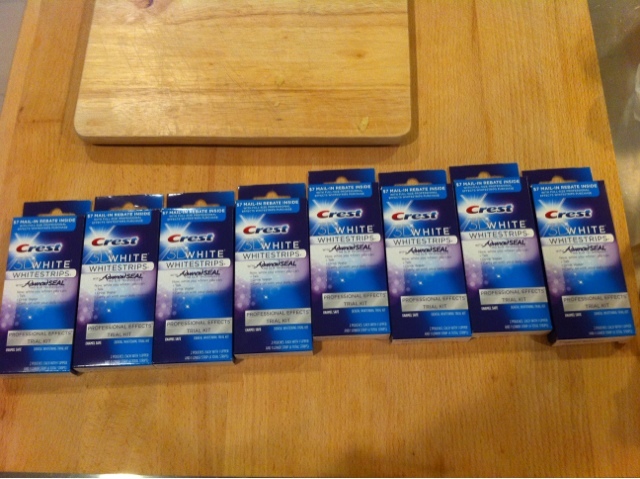 My MONEYMAKING Crest White Strips! Made them all FREE plus a $8.08 total MONEYMAKER!